In general,it is white color, other colors such as green , yellow , blue and so on can be customized according to customs' special demand. other color such as pink,light blue,light green can be customized according to customs' special demand. In general, available color is white ,yellow, green , blue red, other color can be customized according to customs' special demand. This reflective sheeting is designed for production of reflective durable traffic control signs, work zone devices and delineators that are exposed vertically in service. Features Reflective Material High Intensity Reflective Sheeting YS-T1001 Series is constructed with an encapsulated lens optical system for high intensity of retro reflectivity. &bull; Meet Multiple Specifications &bull; Rated for use outdoors for from 3 years to 10 year lifespan 1. High intensity reflective sheeting PVC Type - 3 years 2 . Carbon Fiber Black Rear Spoiler 3M 1600T Strong Adhesive Double Side Tape Can Fender Wheel Eyebrow Protector Packing & Delivery Company Profile Guangzhou Lixin Auto Accessories Co., Ltd . is a manufactory established on 1997 in China , Which specialized in double side tape, reflective tape, electric tape and wheel rim protector ect car accessories for more than 10 years. We also cooperate with other major manufacturers, which guarantee our supply stablity and high quality product to meet the needs of our customers. Also you could prepay the freight cost by Western union, we will send out sample asap once getting your payment. Q:Can you do customers&rsquo; styles9 A:Yes ,just send us the drawing,then we could open a new mould for you to produce it as your request. 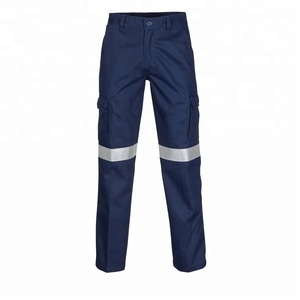 Q: How to ensure the cargo quality9 A: We will supply bulk sample before shipping. 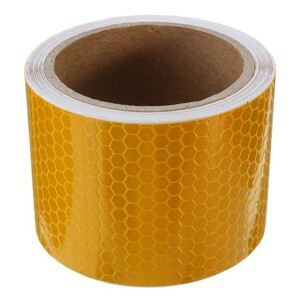 Alibaba.com offers 13,553 blue reflective tape products. About 38% of these are reflective material, 7% are adhesive tape, and 1% are other textiles & leather products. A wide variety of blue reflective tape options are available to you, such as pe, polyester, and bopp. 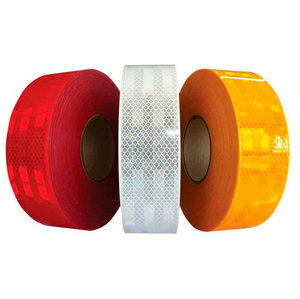 You can also choose from warning, masking, and carton sealing. 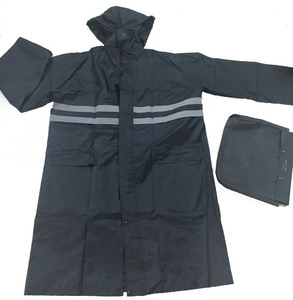 As well as from heat-resistant, waterproof. And whether blue reflective tape is pressure sensitive, or hot melt. There are 13,496 blue reflective tape suppliers, mainly located in Asia. The top supplying countries are China (Mainland), Pakistan, and Taiwan, which supply 97%, 1%, and 1% of blue reflective tape respectively. 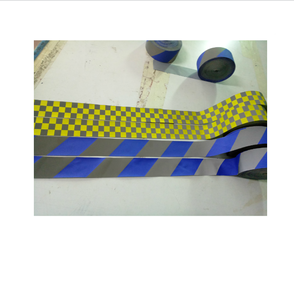 Blue reflective tape products are most popular in North America, Western Europe, and Domestic Market. You can ensure product safety by selecting from certified suppliers, including 2,267 with Other, 1,955 with ISO9001, and 799 with ISO14001 certification.